Keppel REIT's 4Q/FY18 DPU of 1.36/5.56 Scts was slightly below our projections. Slight dip in committed portfolio occupancy; positive rental reversion. 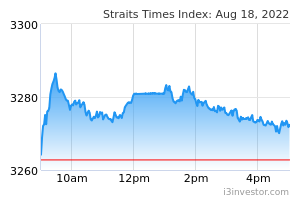 Maintain ADD with an unchanged Target Price of S$1.34. KEPPEL REIT (SGX:K71U) reported 4Q18 DPU of 1.36 Scts, -4.9% y-o-y, which was slightly below our expectation at 23.6% of our full-year forecast. This came on the back of a 14.8% y-o-y decline in topline due to lower rental revenue, higher interest expense and lower associate and JV contributions, partly offset by capital distribution of S$3m. For FY18, Keppel REIT's DPU of 5.56 Scts was 2.5% lower y-o-y and formed 96.6% of our forecast. Keppel REIT revalued its portfolio up by S$33.1m, translating to a BV of S$1.40 per unit. Committed portfolio occupancy was slightly lower q-o-q at 96.4% (vs. 98% in 3Q), dragged by Singapore occupancy of 98.1%. Keppel REIT renewed an attributable 1.227m sqft of space in FY18 (0.372m sqft in 4Q), with average positive rental reversion of 12.9% for the year for its renewals and review leases. One-third of demand came from new leases largely from the finance industry, government agency and energy, shipping and marine. Keppel REIT has 4.6% of renewals/reviews due in FY19 and a further 11.7% in FY20. Expiring rents in FY19 are in the range of S$9.10-12psf/mth. Given the still improving leasing market, we anticipate Keppel REIT to be able to achieve positive reversions when re-contracting these leases. Within its Australian portfolio, Keppel REIT plans to carry out asset enhancement activities at 275 George St as well as 8 Exhibition St. The latter is expected to commence in 1H19. Meanwhile, completion of development at 311 Spencer St has been pushed back slightly to 1H20 (from 4Q19 previously). When completed, a 30-year lease with the Victoria Police is expected to contribute steady income over the longer term. Its balance sheet is robust with lower gearing of 36.3% as Keppel REIT pared down debt with part of the divestment proceeds from the sale of a 20% stake in Ocean Financial Centre. About 85% of its debt is on fixed rate loans. 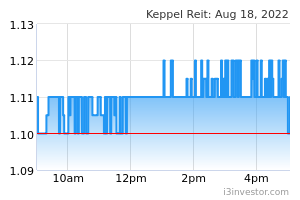 Keppel REIT has S$538m of debt due to be refinanced for the remainder of this year. With significant debt headroom, management indicated that it would continue to look at ongoing portfolio optimisation. We tweak down FY19-20 DPU marginally as we fine-tune our rental assumptions post results and factor in a slight delay in the commencement of the 311 Spenser St property. We maintain our ADD rating with an unchanged DDM-based Target Price of S$1.34. Keppel REIT continues to be a beneficiary of the office rental upcycle. Potential key catalysts are better-than-expected office rental hikes and new accretive acquisitions, while downside risks include slower office demand due to a more modest global growth outlook.